With its earthy, grounded, natural aesthetic, terracotta has an appeal that feels both current and timeless. From jugs and pots to lighting, desktop accessories and even a table, here are some designs that have caught my eye. 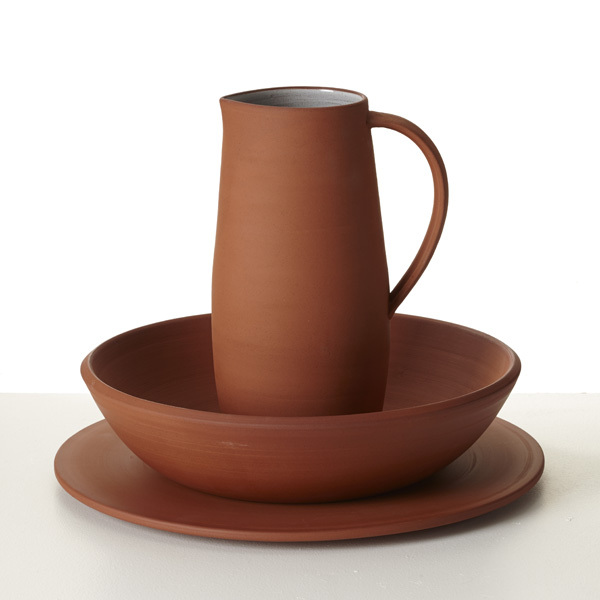 Above: Terracotta pitcher, platter and bowl by Reiko Kaneko for SCP - due to be launched in Milan next week. Benjamin Hubert's multifuctional serving and storage pots for Menu. 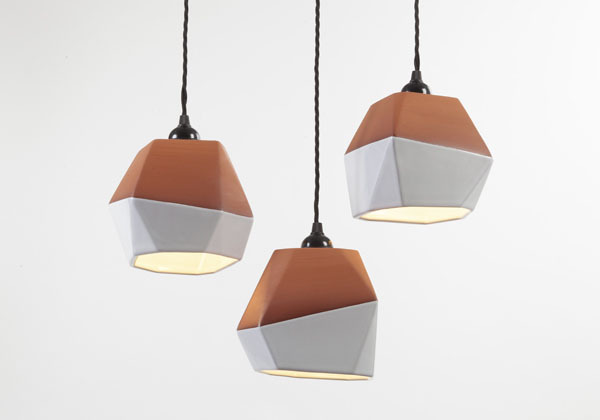 Half glazed geometric pendant shade by Nick Fisher. Terracotta planters by Paula Greif. Ilaria Innocenti's Adobe series of desktop accessories utilises traditional brick making techniques. Vases and vessels from the Gardenias range by Jaime Hayon for BD Barcelona Design. London - from the Cities Colour Palette by Stephanie Sommet. Carafe and wine cooler by Normal Studio. Element terracotta vessel by Vitamin. Terracotta jug by Sue Pryke. 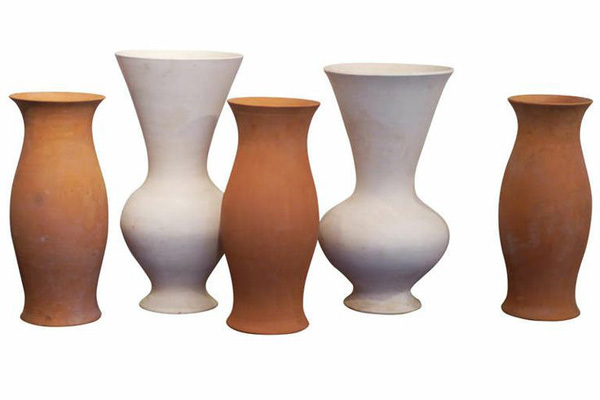 Raw terracotta vases from the "La Roue" workshop in Vallauris, France dating from the 1970s - 1st Dibs. 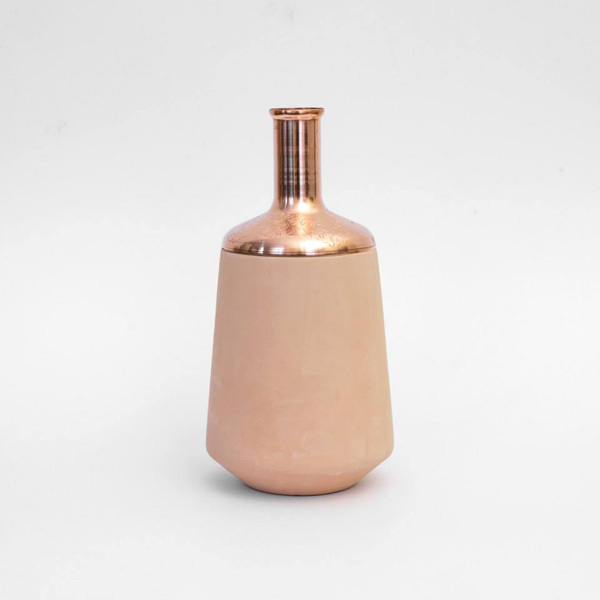 Copper and terracotta vase from the Tunisia Made collection by Hend Krichen. 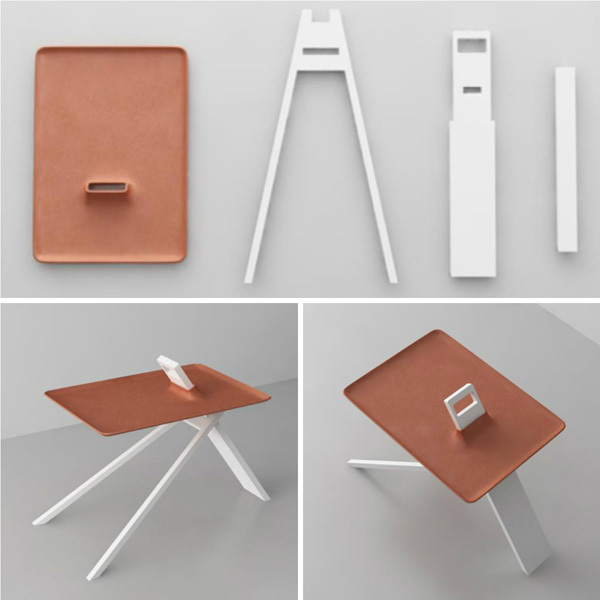 Terracotta side table by Noon Studio.